The Integrated Homicide Investigation Team announced on Wednesday that it has obtained video surveillance footage that captured those responsible for the murder of Sumeet Randhawa, 30, and is requesting public assistance to help them solve the case. On October 11, just before 2 p.m., Randhawa was shot and killed in the driveway of a residence in the 6700-block of 130th Street in Surrey. At 2:07 p.m., police located an abandoned and stolen black Hummer H3 with Washington state license plates in the 6700-block of 129th Street. This vehicle was used by one of the suspects in the shooting death of Randhawa. 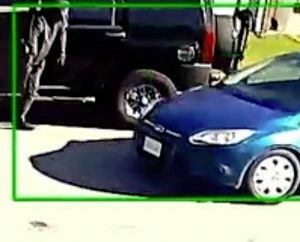 As a result of the extensive video canvass, IHIT detectives obtained video surveillance footage that showed the Hummer H3 arriving in the 6700-block of 129th Street shortly after 2 p.m. in tandem with what investigators believe to be a 2012 to 2014 blue Ford Focus. An unknown person then exited the driver’s seat of the Hummer H3 and got into the passenger side of the blue Ford Focus before it left the area. Randhawa, who was known to police, is the 13th South Asian to be murdered this year in the Lower Mainland area. None of the murders has been solved.